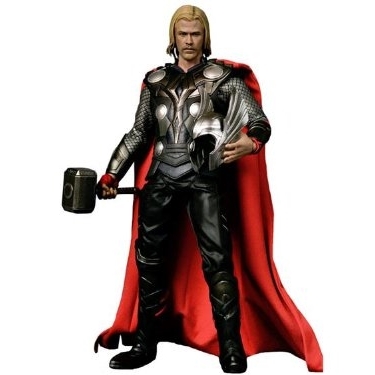 Thor is a hammer-wielding god associated with thunder, lightning, storms, oak trees, strength, the protection of mankind, and also hallowing, healing and fertility. 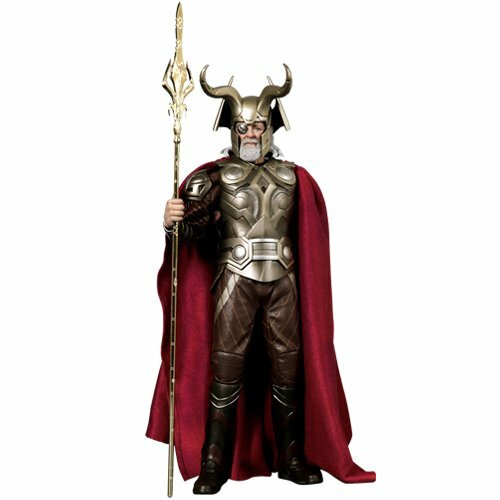 The character, based on the Norse mythological deity of the same name, is the Asgardian god of thunder and possesses the enchanted hammer Mjolnir, which grants him the ability of flight and weather manipulation amongst his other superhuman attributes. 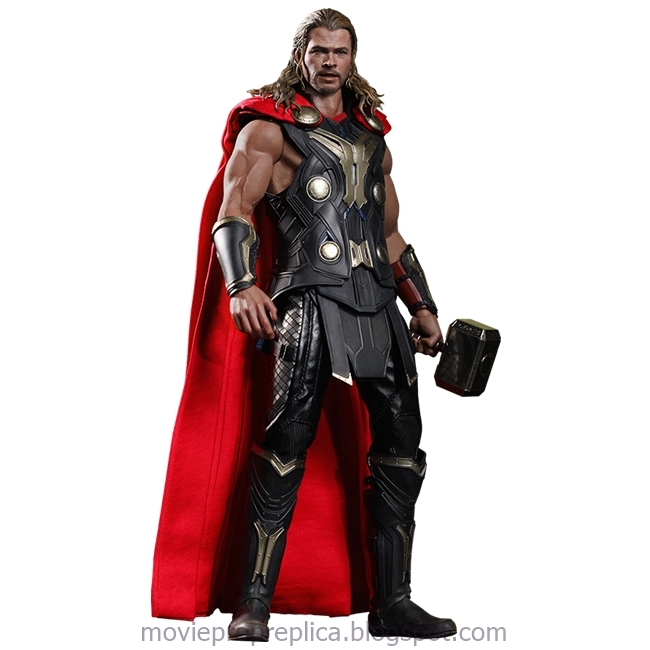 Thor is a founding member of the superhero team the Avengers. 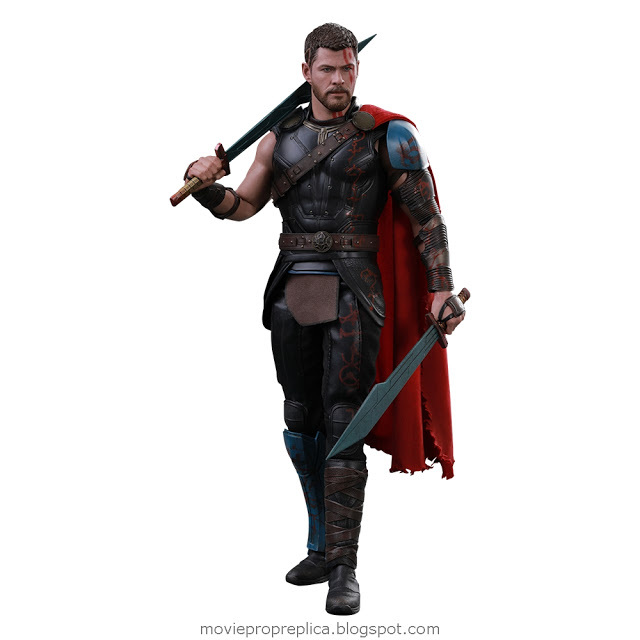 Thor is trained in the arts of war, being a superbly skilled warrior, highly proficient in hand-to-hand combat, swordsmanship and hammer throwing. 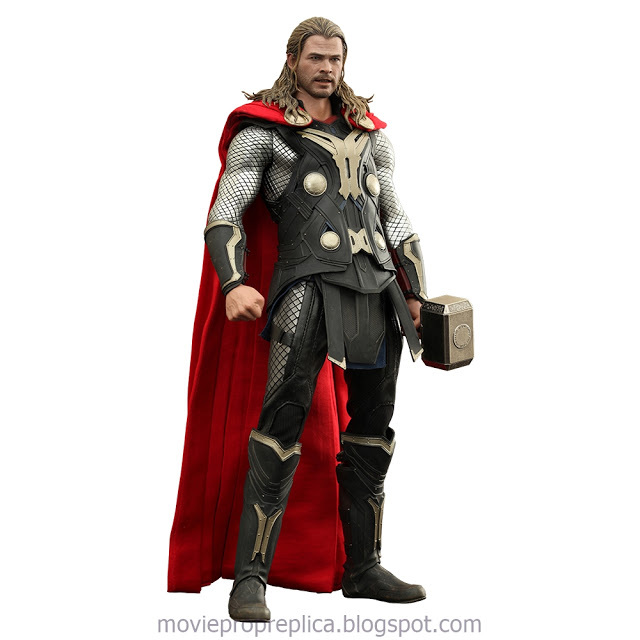 Thor wields Mjolnir, a hammer forged from uru metal. 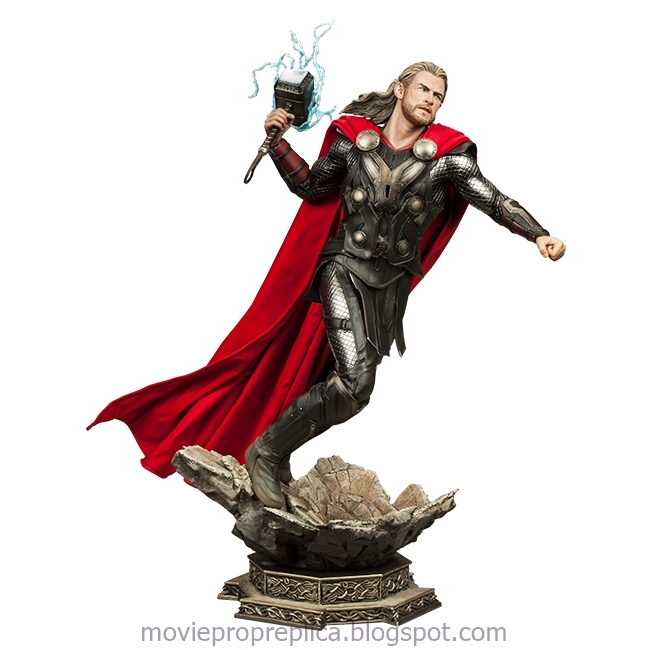 Mjolnir is virtually unbreakable, and allows Thor to command the powers of the storm, causing rain, thunder and lightning. 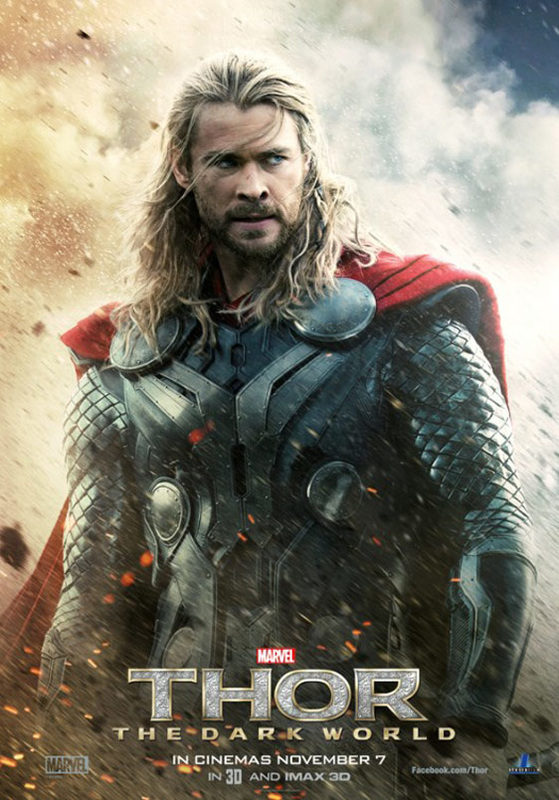 Thor can channel the storm’s fury into devastating blasts of energy that can destroy even secondary Adamantium. 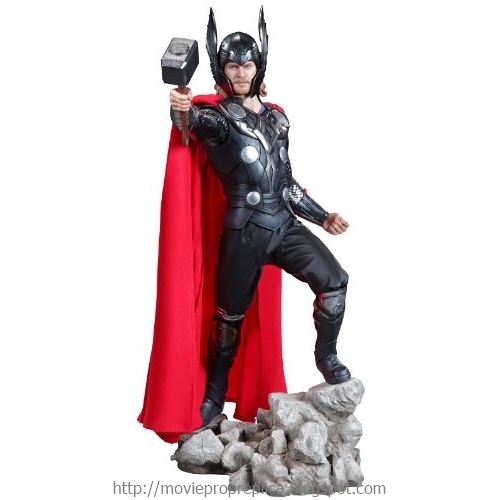 He can also channel his godly energies through Mjolnir into blasts so powerful that they can slay even immortals. 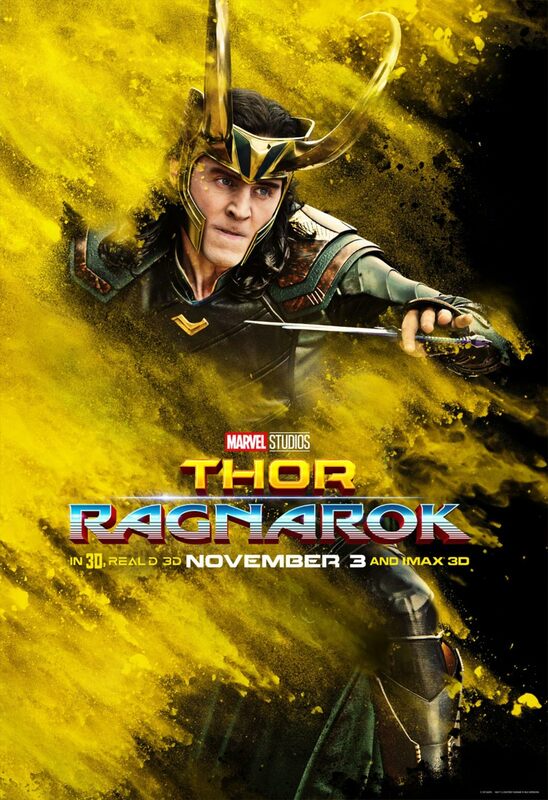 Mjolnir can absorb other energies into itself, which Thor can then release. 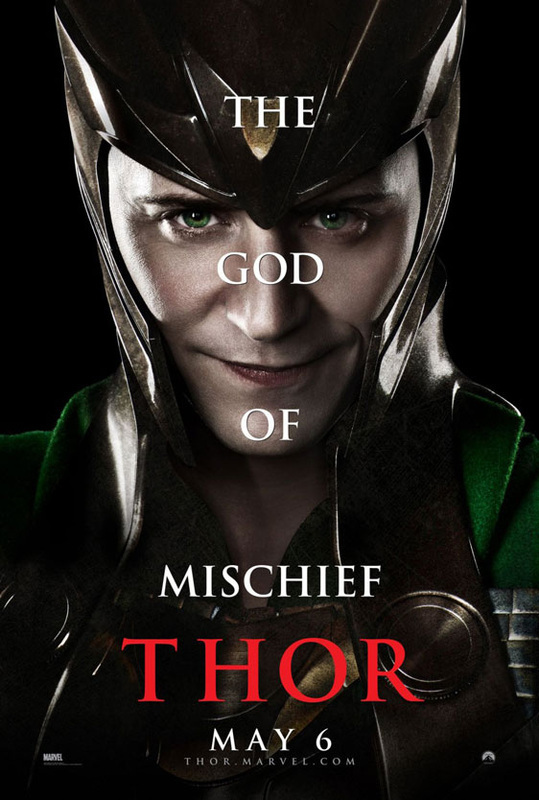 Tom Hiddleston as Loki: Thor's adoptive brother and nemesis based on the deity of the same name. 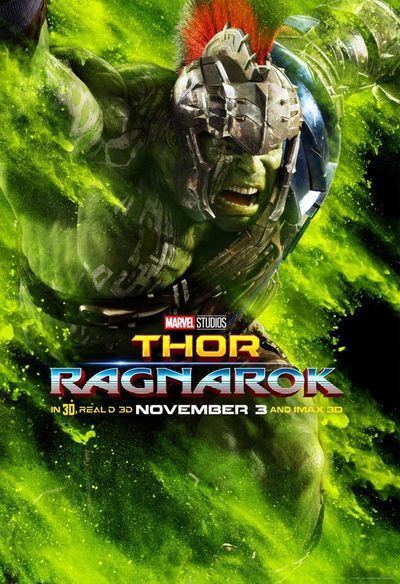 Mark Ruffalo as Bruce Banner / Hulk: A genius scientist who, because of exposure to gamma radiation, transforms into a monster when enraged or agitated and becomes a successful and popular gladiator on Sakaar. 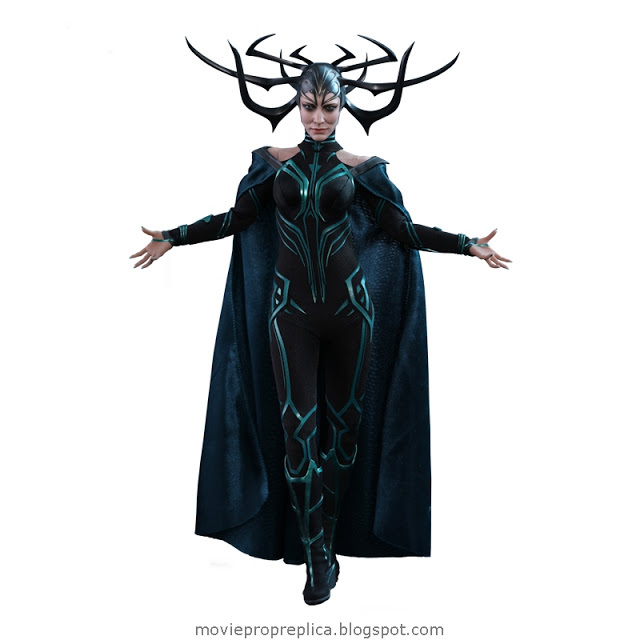 Cate Blanchett as Hela: The ruler of Hel and Niflheim, based on the deity Hel who has been inadvertently released from her prison. Jeff Goldblum as Grandmaster: A cosmic being fascinated with gaming and chance, who enjoys manipulating lesser life-forms and is the ruler of the planet Sakaar. 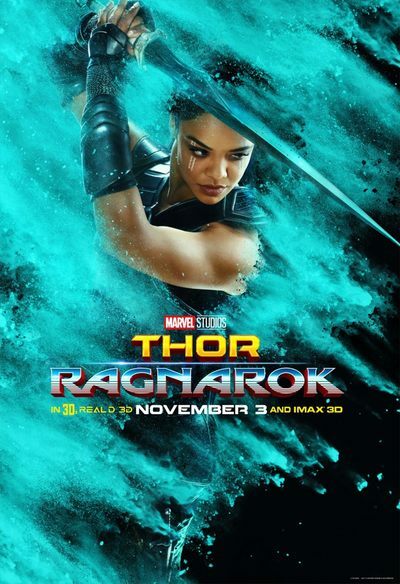 ​​Tessa Thompson as Valkyrie: A tough, hard-drinking Asgardian warrior, based on the mythological being Brynhildr, who has formed a business relationship with Grandmaster while hiding out on Sakaar. 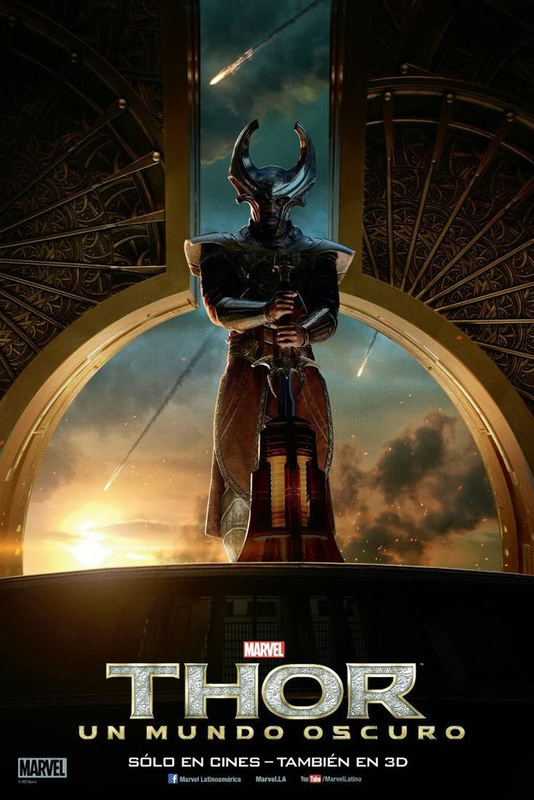 Karl Urban as Skurge: An Asgardian warrior. 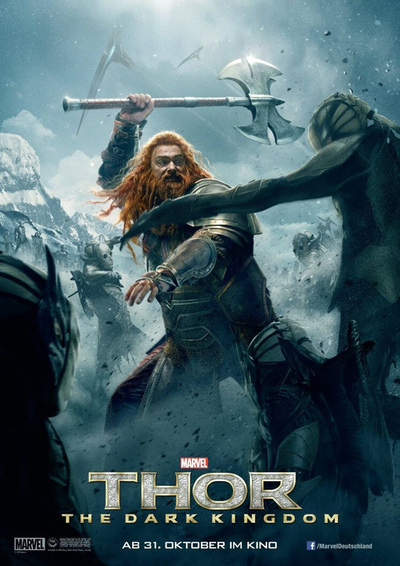 Marvel's Thor: The Dark World continues the big-screen adventures of Thor, the Mighty Avenger, as he battles to save Earth and all the Nine Realms from a shadowy enemy that predates the universe itself. 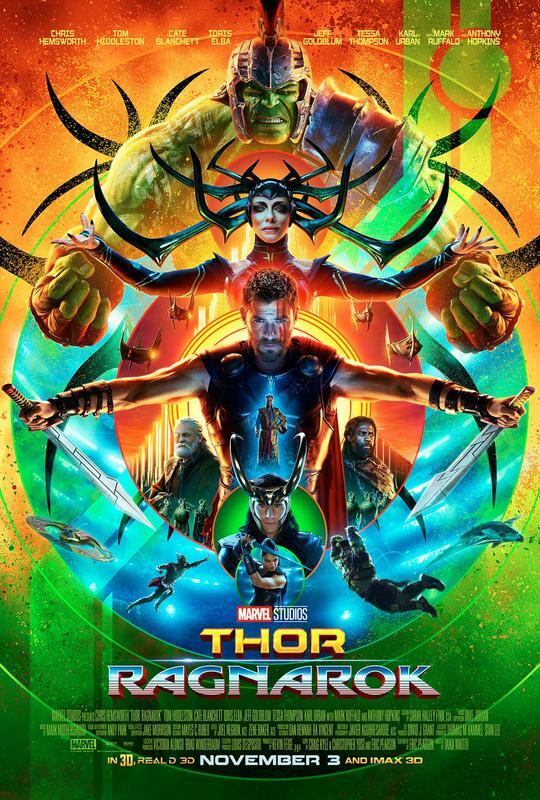 In the aftermath of Marvel's "Thor" and "Marvel's The Avengers," Thor fights to restore order across the cosmos...but an ancient race led by the vengeful Malekith returns to plunge the universe back into darkness. 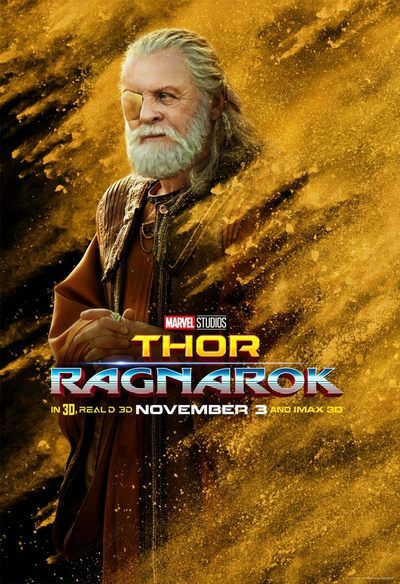 Faced with an enemy that even Odin and Asgard cannot withstand, Thor must embark on his most perilous and personal journey yet, one that will reunite him with Jane Foster and force him to sacrifice everything to save us all. 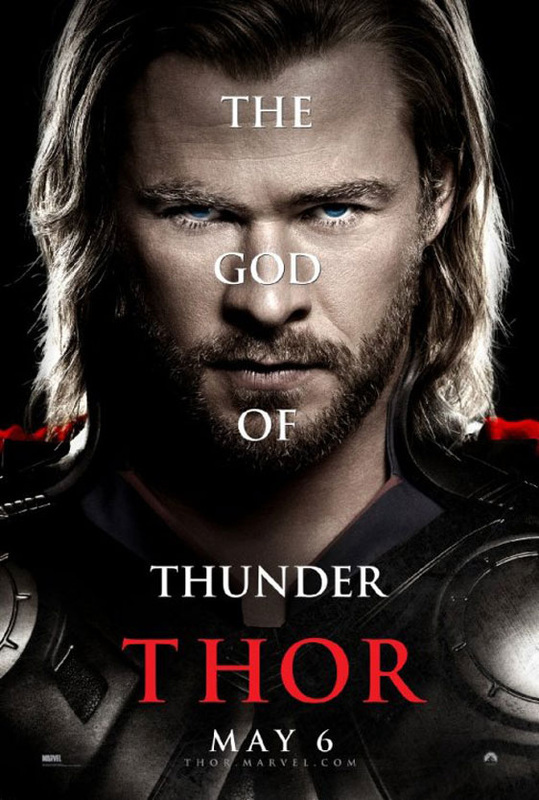 Chris Hemsworth as Thor: The crown prince of Asgard, based on the Norse mythological deity of the same name. ​Natalie Portman as Jane Foster: An astrophysicist and Thor's love interest, who is brought from Earth to Asgard by Thor after she is infected with a mysterious energy. 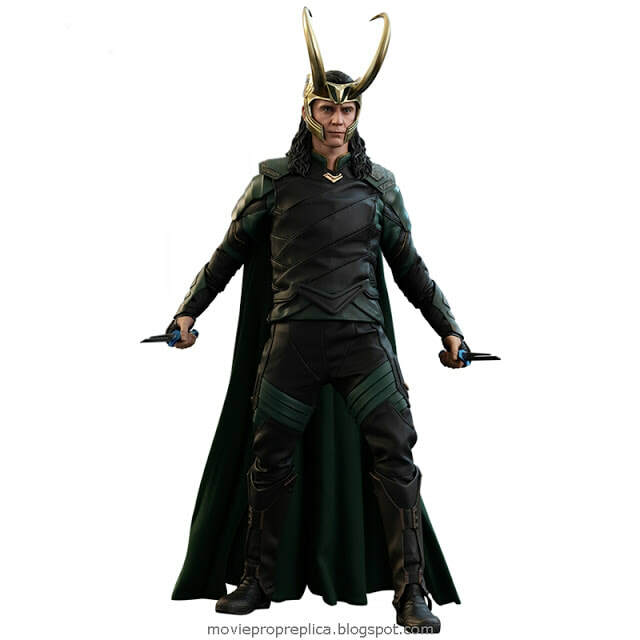 ​Tom Hiddleston as Loki: Thor's adoptive brother and nemesis, based on the deity of the same name, who forms an uneasy alliance with Thor against the Dark Elves. 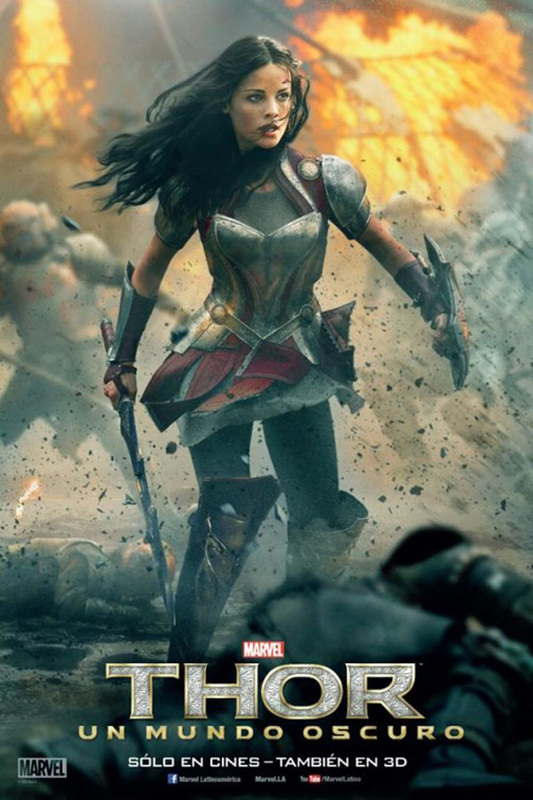 Jaimie Alexander as Sif: An Asgardian warrior, Thor's childhood friend and Jane Foster's romantic rival, based on the deity of the same name. 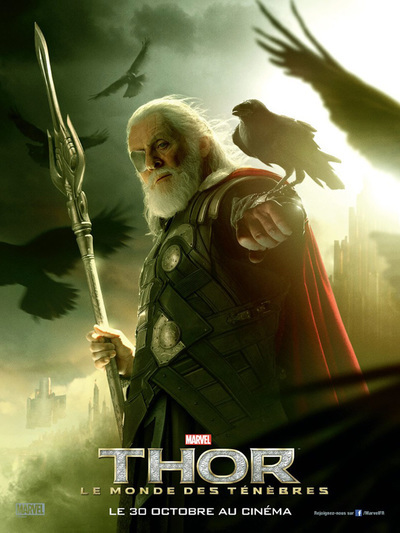 Anthony Hopkins as Odin: The king of Asgard, father of Thor, and adoptive father of Loki, based on the deity of the same name, who disapproves of Jane Foster being in Asgard. ​Rene Russo as Frigga: The wife of Odin, queen of Asgard, mother of Thor and adoptive mother of Loki, based on the mythological deity of the same name. 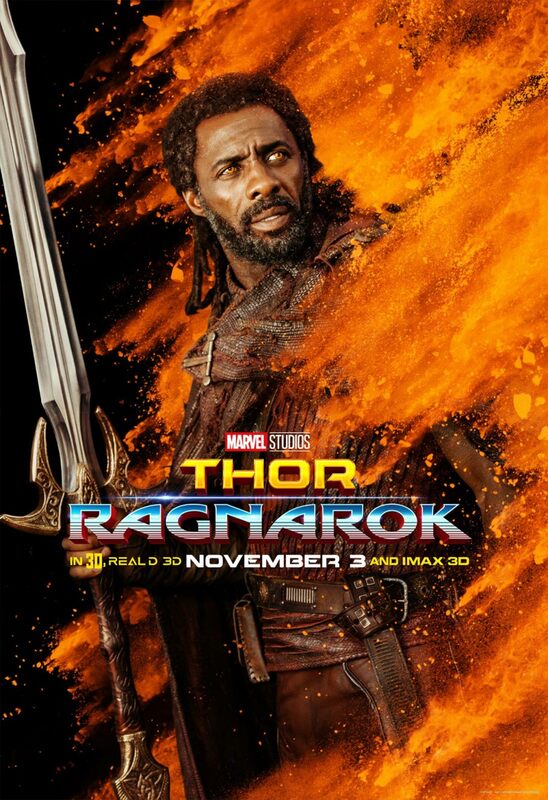 ​Idris Elba as Heimdall: The all-seeing, all-hearing Asgardian sentry of the Bifröst Bridge, based on the mythological deity of the same name. 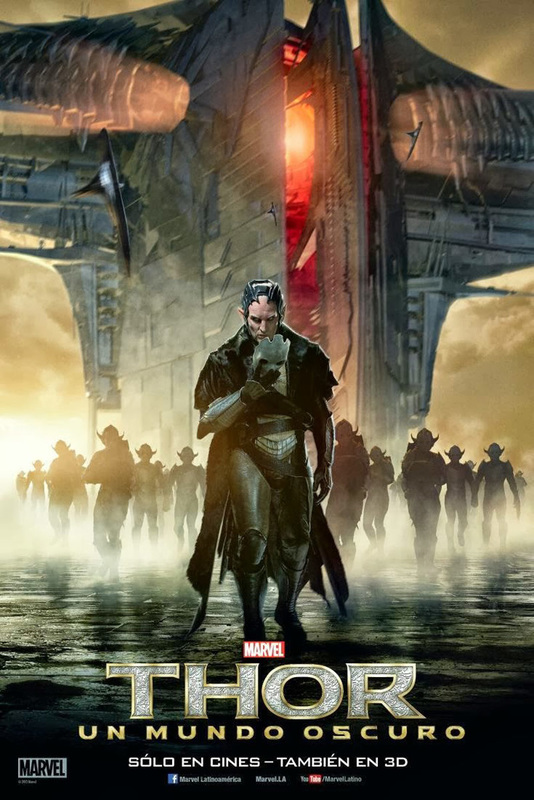 ​Christopher Eccleston as Malekith: The ruler of the Dark Elves of Svartalfheim. ​Adewale Akinnuoye-Agbaje as Algrim / Kurse: A Dark Elf, and Malekith's trusted and loyal lieutenant, who is transformed into a monstrous creature in order to destroy Thor. ​Zachary Levi as Fandral: A member of the Warriors Three, characterized as an irrepressible swashbuckler and romantic. ​Ray Stevenson as Volstagg: A member of the Warriors Three; a group of three Asgardian adventurers who are among Thor's closest comrades, known for both his hearty appetite and wide girth. 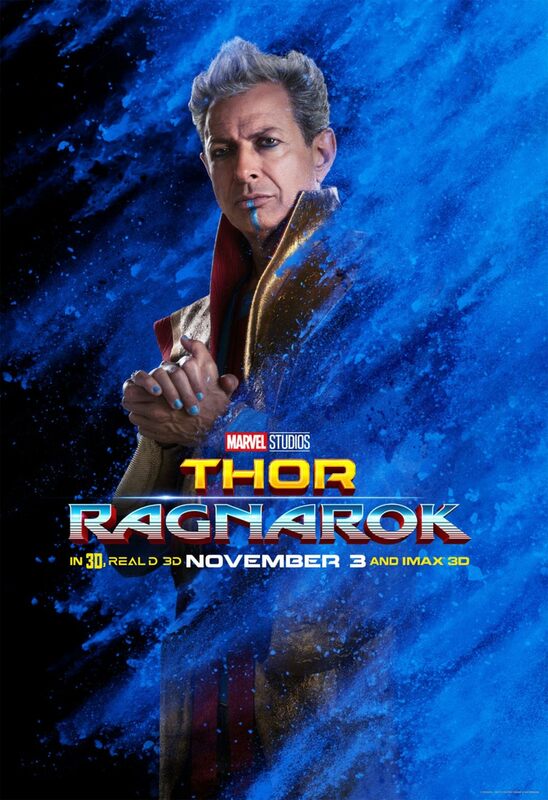 ​Tadanobu Asano as Hogun: A member of the Warriors Three, a native of Vanaheim primarily identified by his grim demeanor. 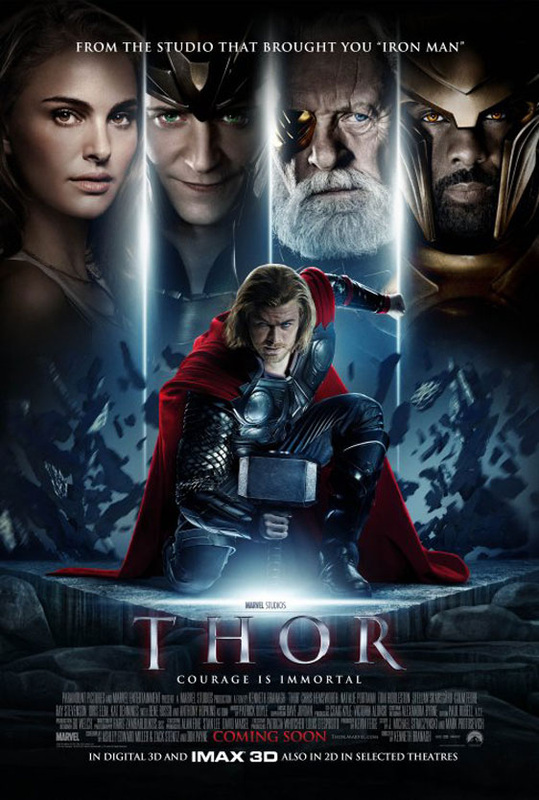 Paramount Pictures and Marvel Entertainment present the epic adventure, Thor, which spans the Marvel Universe from present day Earth to the realm of Asgard. 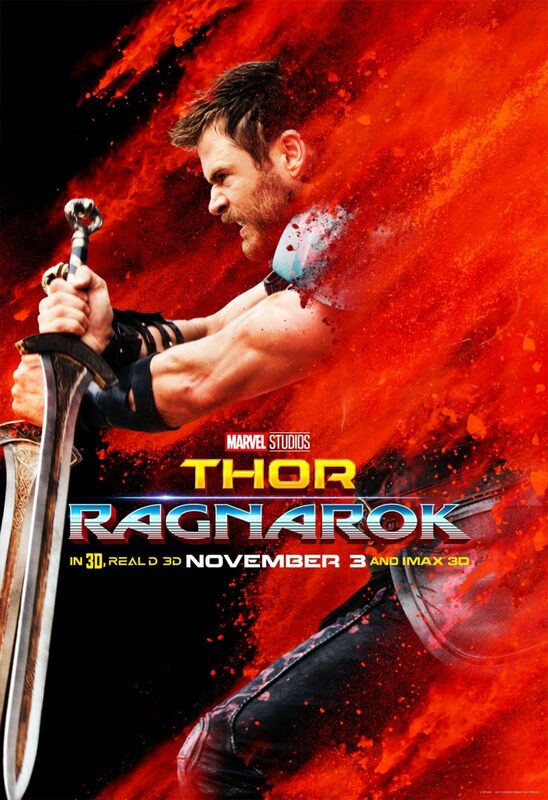 At the center of the story is the mighty Thor (Chris Hemsworth), a powerful but arrogant warrior whose reckless actions reignite an ancient war. Thor is cast down to Earth by his father Odin (Anthony Hopkins) and is forced to live among humans. 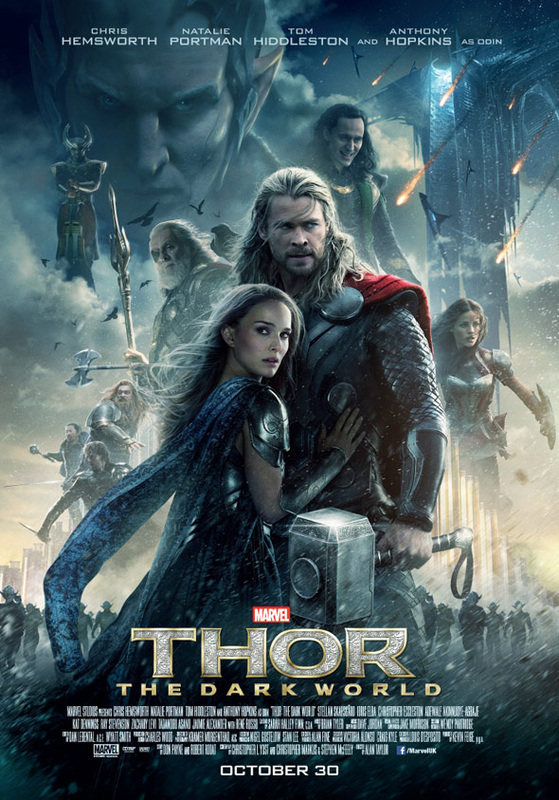 A beautiful, young scientist, Jane Foster (Natalie Portman), has a profound effect on Thor, as she ultimately becomes his first love. 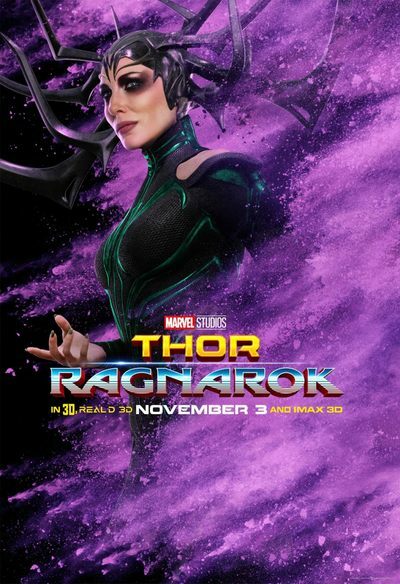 It's while here on Earth that Thor learns what it takes to be a true hero when the most dangerous villain of his world sends the darkest forces of Asgard to invade Earth. 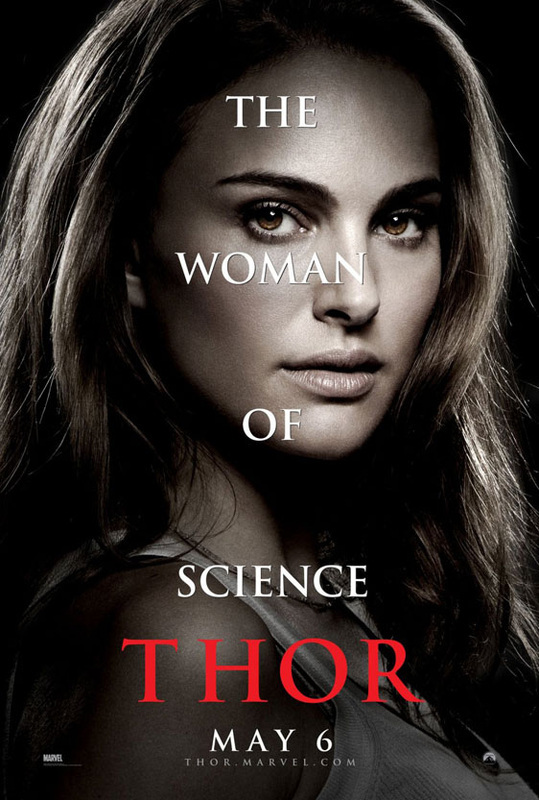 ​Natalie Portman as Dr. Jane Foster: A scientist and Thor's love interest. 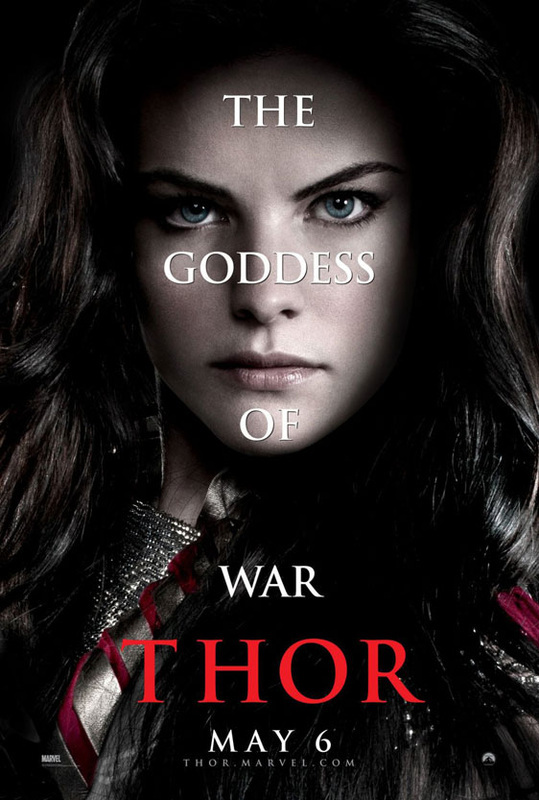 Jaimie Alexander as Sif: A warrior and Thor's childhood friend based on the mythological deity of the same name. 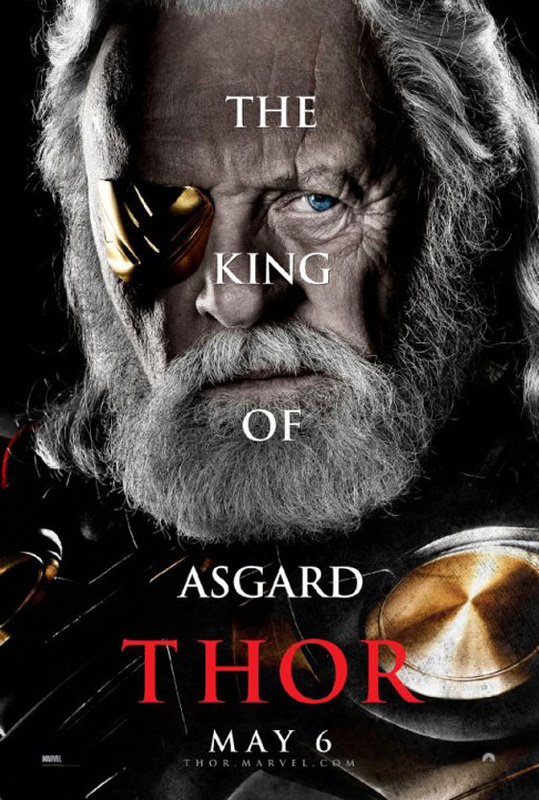 ​Anthony Hopkins as Odin: The ruler of Asgard, father of Thor, and adoptive father of Loki, based on the mythological deity of the same name. 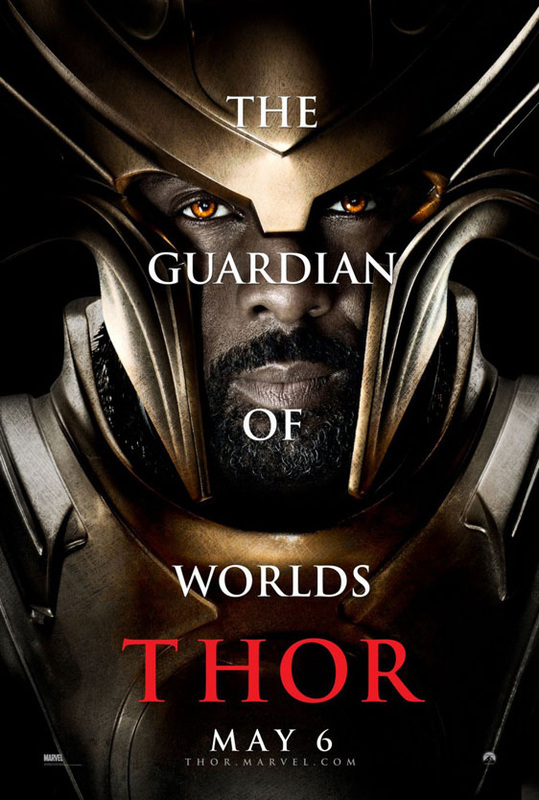 Idris Elba as Heimdall: The all-seeing, all-hearing Asgardian sentry of the bifröst bridge, based on the mythological deity of the same name. 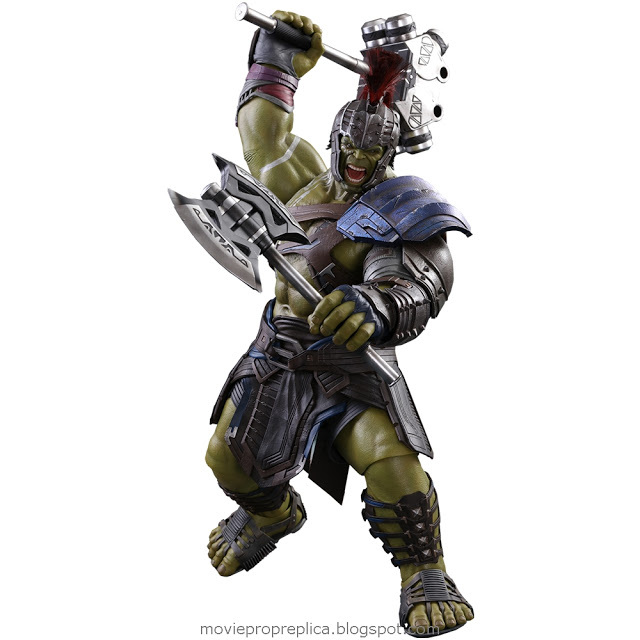 Thor Movie Prop Peplicas, Figures, Toys and Collectibles! Faithfully designed from Thor's 1st appearance in Journey into Mystery, Vol. 1, #83, this full-size, steel-plated helmet sports a gleaming nickel finish. 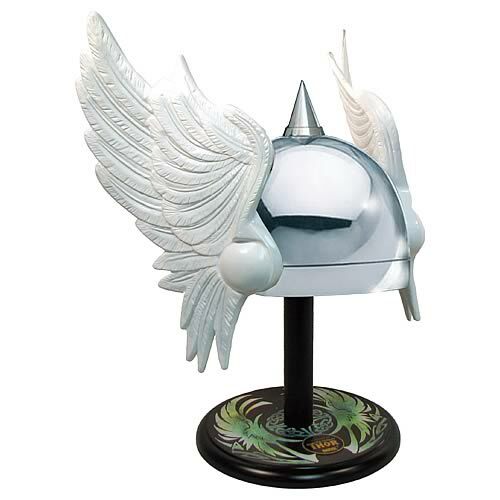 Lightweight, hand-painted fiberglass wings flank the sides, giving the headpiece exactly what it needs to protect the wearer from the wrath of Loki. An adjustable liner allows the legendary artifact to fit a variety of head sizes, while the thematic display stand with nameplate provides an appealing resting place between battles. This spectacular collectible is a limited edition of 1,963 pieces. Gods be willing, make it yours! 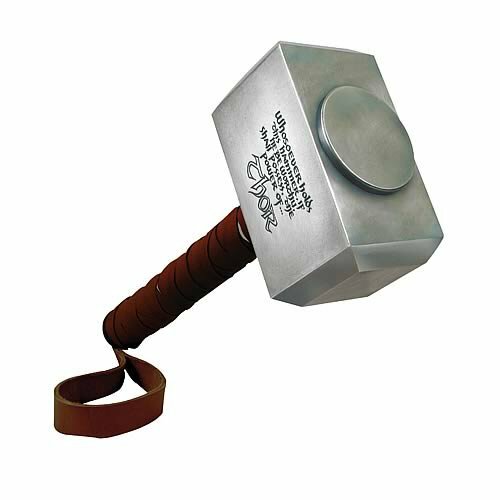 With the inevitable return of the Mighty Thor, now is your only chance to get your hands on the mystical mallet known as Mjolnir! Measuring 18" long by 8" wide, this hefty aluminum hammer includes a convertible wall/tabletop display plaque with name plaque, as well as a handle wrapped in the finest glove leather. Limited to 1,000 pieces, each replica also features a hand-numbered box with matching Certificate of Authenticity. 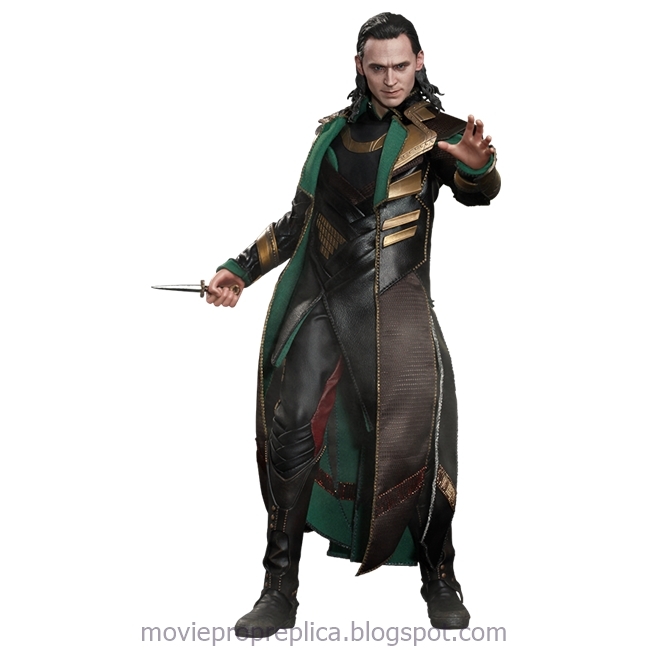 He is the adoptive brother and archenemy of Thor. 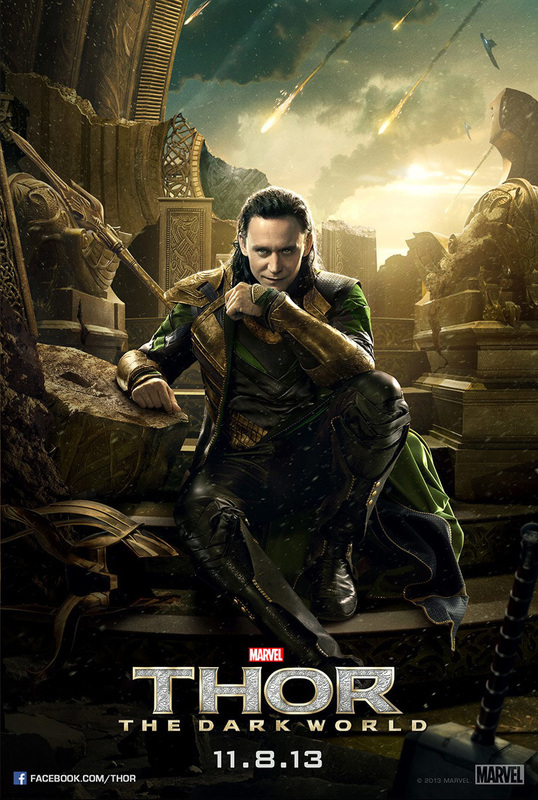 Loki possesses genius-level intelligence and has extensive training in magic, and possesses the ability to manipulate magical forces for a variety of purposes: energy projection, creation of force fields, temporarily increasing his own physical strength, granting superhuman abilities to living beings or inanimate objects, flight, hypnosis, illusion casting and inter-dimensional teleportation. Sif and Thor are separated when he is banished from Asgard by his father Odin and begins a life as a superhero on Earth. 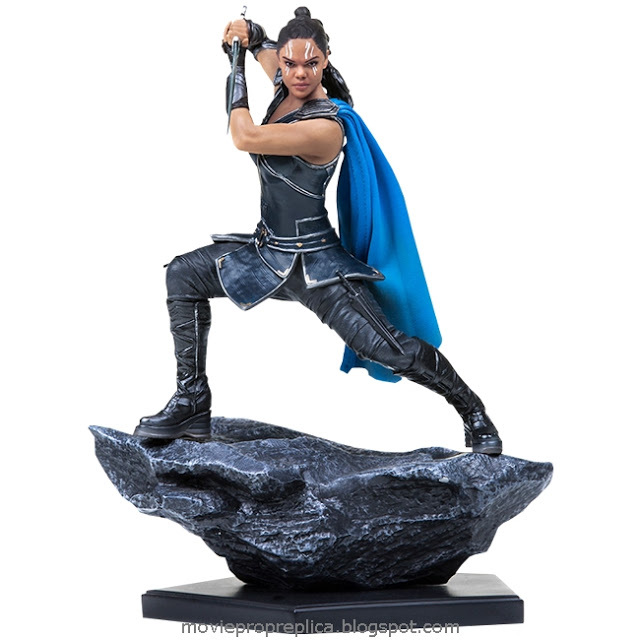 Sif shares powers common among all Asgardians, with her dense physiology granting superhuman strength greater than the average Asgardian female an on par with the average Asgardian male, limited invulnerability, as well as advanced stamina, speed, agility, and reflexes. Sif is also extremely long lived and maintains her youth and vitality through the consumption of golden apples. She is also highly skilled in hand to hand combat and proficient in use of cold weapons, favoring a sword and shield in battle. She is often said to be the best female fighter in Asgard, on par with Valkyrie. She was a nurse for Dr. Don Blake and over time developed feelings for him. A scientist and Thor's love interest. 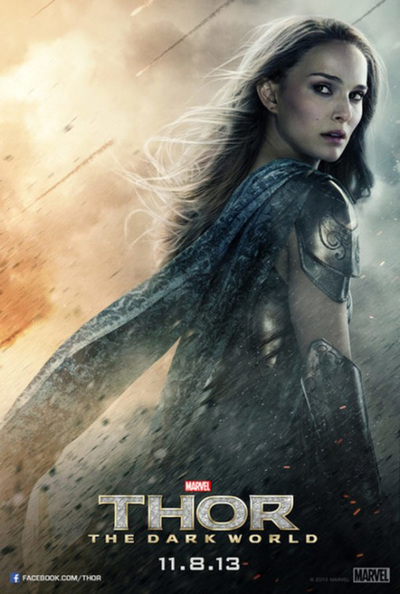 Natalie Portman portrays Foster in the live-action film Thor and its 2013 sequel Thor: The Dark World. 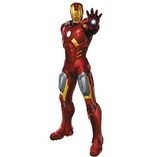 Iron Man possesses powered armor that gives him superhuman strength and durability, flight, and an array of weapons. The armor is invented and worn by Stark. The weapons systems of the suit have changed over the years, but Iron Man's standard offensive weapons have always been the repulsor rays that are fired from the palms of his gauntlets. Other weapons built into various incarnations of the armor include: the uni-beam projector in its chest; pulse bolts an electromagnetic pulse generator; and a defensive energy shield that can be extended up to 360 degrees. Other capabilities include: generating ultra-freon creating and manipulating magnetic fields; emitting sonic blasts; and projecting 3-dimensional holograms. 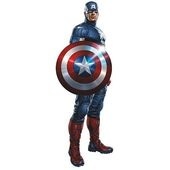 Captain America has no superhuman powers, but through the Super-Soldier Serum and "Vita-Ray" treatment, he is transformed and his strength, endurance, agility, speed, reflexes, durability, and healing are at the zenith of natural human potential. Rogers' body regularly replenishes the super-soldier serum; it does not wear off. 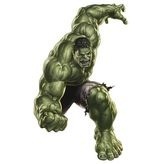 The Hulk possesses the potential for immense and seemingly limitless physical strength depending directly on his emotional state, particularly his anger. This has been reflected in the repeated comment, "The madder Hulk gets, the stronger Hulk gets." - "Hulk was stronger than any mortal—and most immortals—who ever walked the Earth." His strength allows him to leap into lower Earth orbit or across continents, and he has displayed superhuman speed.